For ages I have had a craving for a toffee and apple cake. At first I was going to make cupcakes but then I thought why don’t I simplify matters and make a traybake . Then I decided to smarten it up a bit by cutting it into squares. So that is what I did. The apple in the recipe makes it lovely and moist, which is especially welcomed as I made this with gluten free flour and as I have mentioned before gluten free baking always requires extra liquid. This is a great autumnal recipe and one for Halloween and Bonfire parties but don’t save it for special occasions…everyday is special and this is an easy peasy recipe. I made this with gluten free flour but of course just substitute for normal flour if gluten free isn't required. Optional: Fudge pieces to decorate. Melt the butter and black treacle slowly in a saucepan and leave to cool for a few minutes. Add the sugar, eggs and vanilla to the pan and mix well. Add the flour, baking powder and cinnamon and mix gently. Carefully stir in the apple. Pour the mixture into the prepared tin and tip to level off. Bake in the oven for 30-35 minutes until firm and cooked. Use a skewer to check, if it comes out clean the cake is cooked. Leave to cool in the tin for 5 minutes before turning out on a wire rack. In a pan gently melt the butter and sugar together. Add the milk and stir until the mixture thickens. Whisk together the icing sugar and butter until smooth. Add the toffee sauce to the buttercream mixture and whisk until well combined. 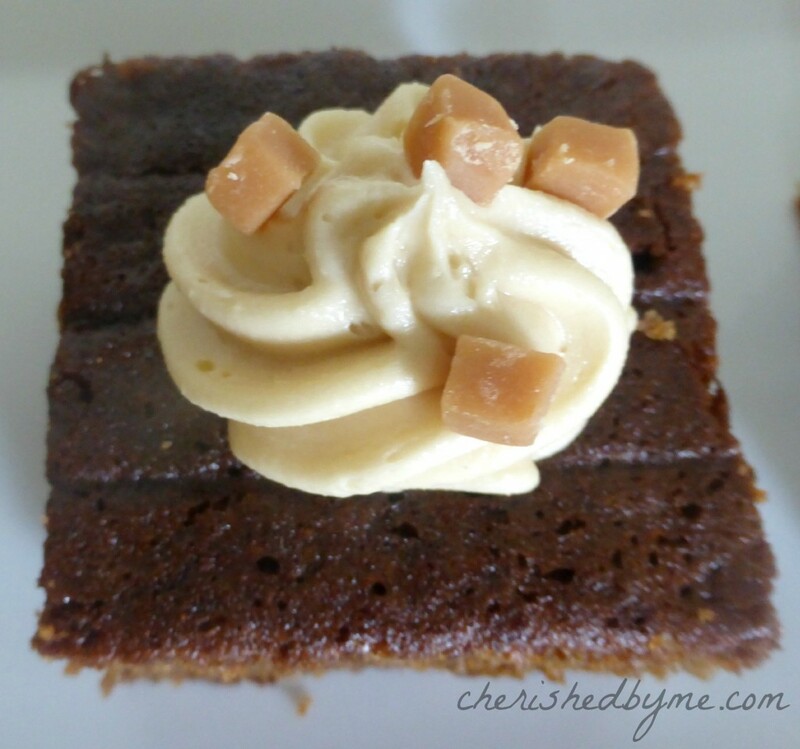 Cut the cake into squares and use the toffee icing to decorate. I use just a little as I find buttercream a bit sickly but if you like lots make more icing. Optional: add some fudge pieces to finish off. What an interesting combination! I love it! Thanks for the recipe. This looks really gorgeous! Adding apple etc really helps with gluten-free doesn’t it. I made a pumpkin & orange slice which was one of my favourite gluten-free bakes so far! It does, I don’t think you can ever add too much extra liquid/moisture to gluten free bakes. 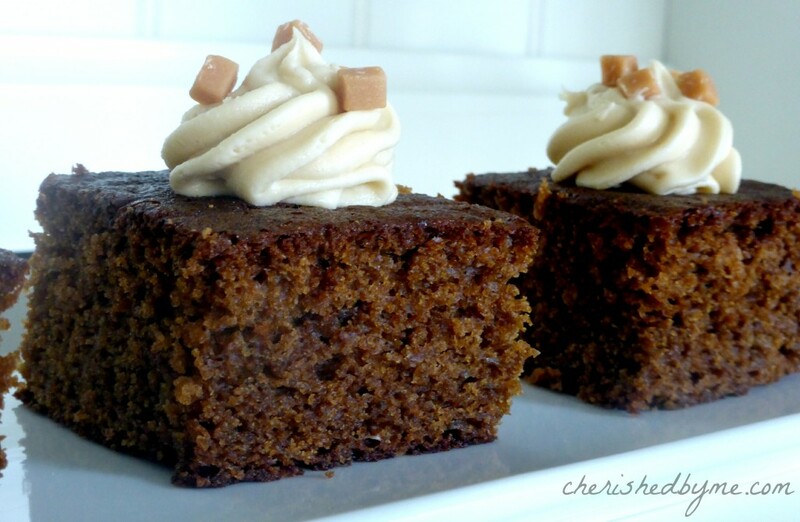 I am definitly going to bake this – just as soon as I have the ingredients and a baking tray!